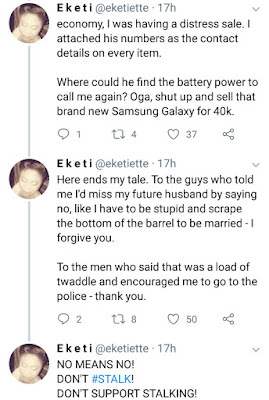 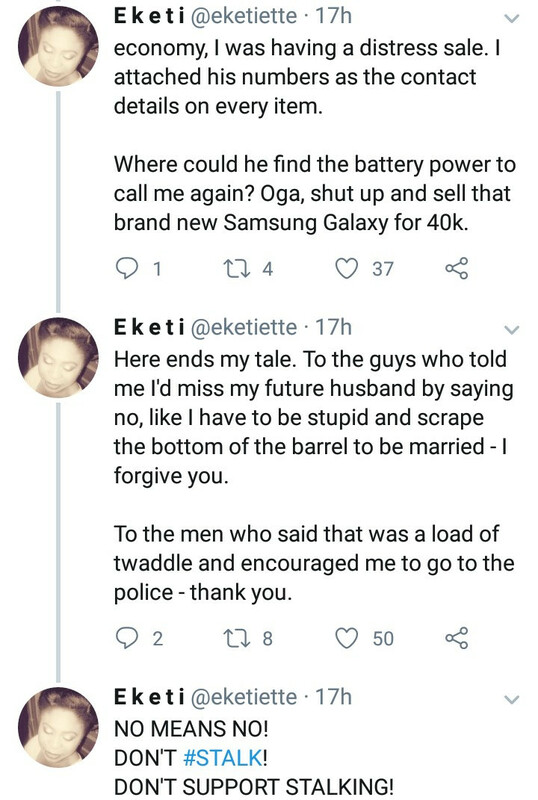 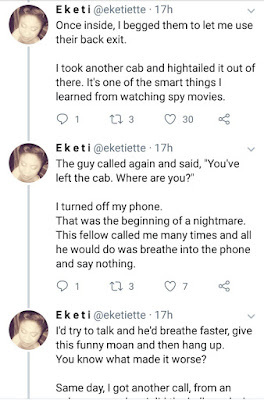 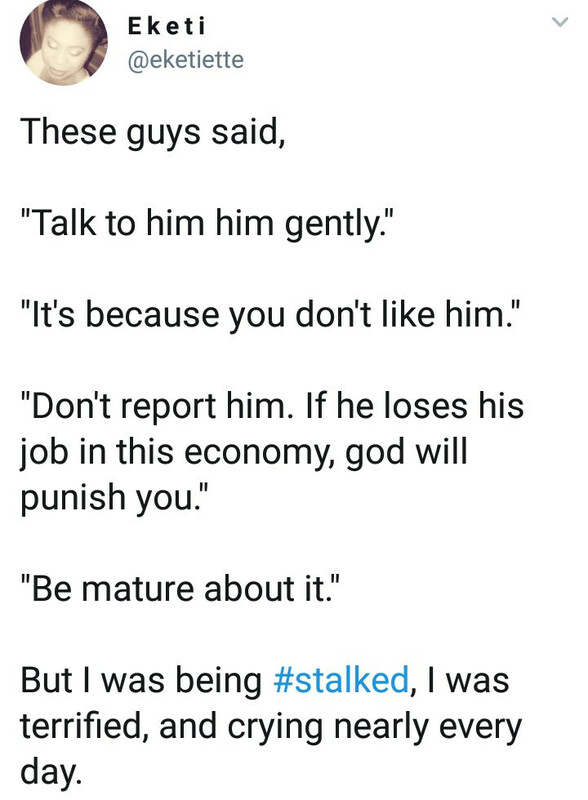 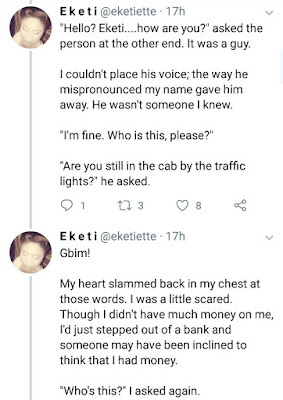 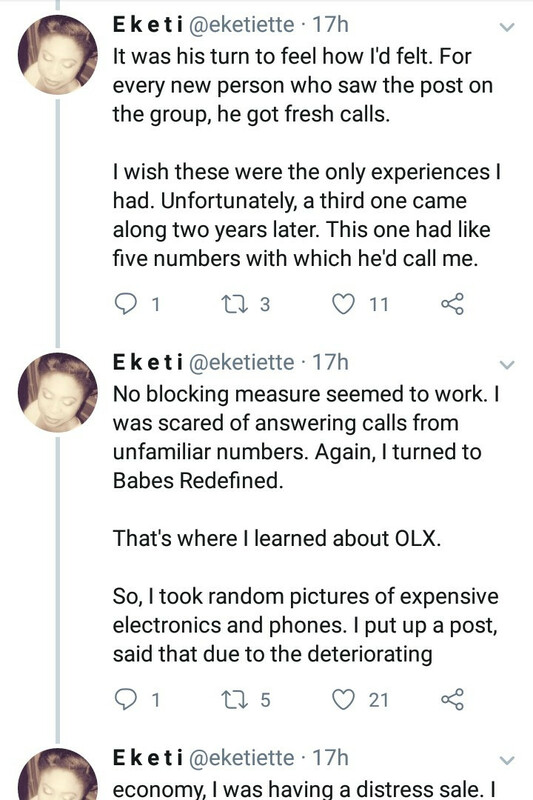 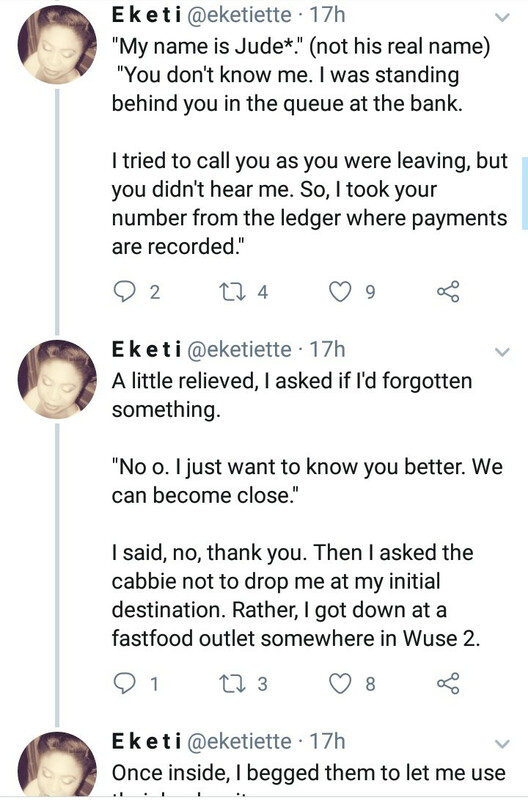 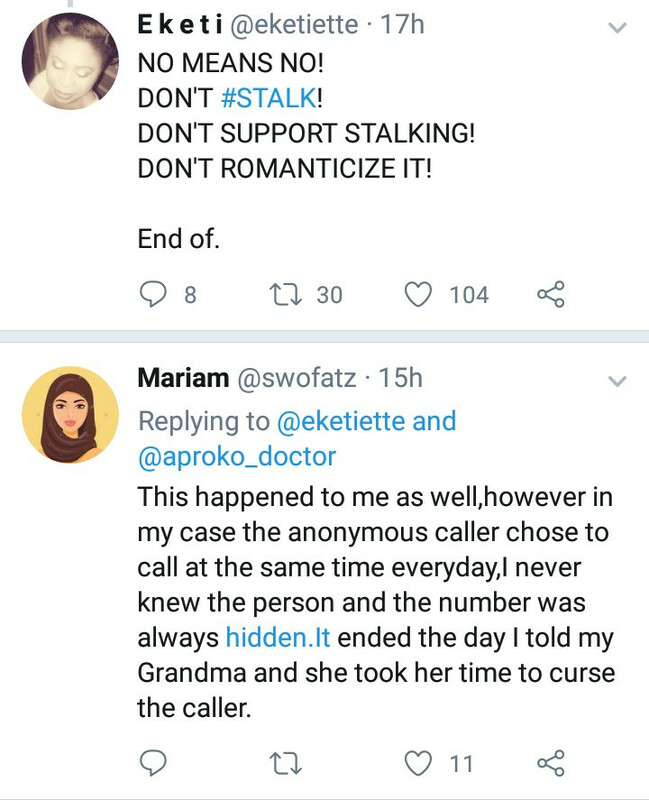 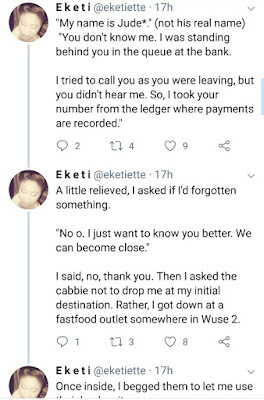 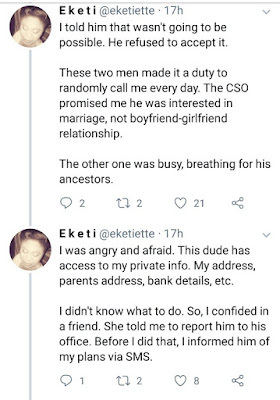 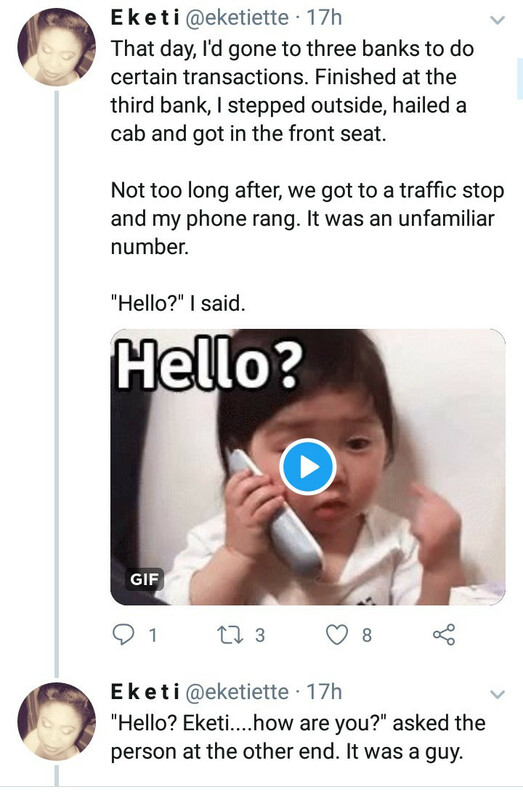 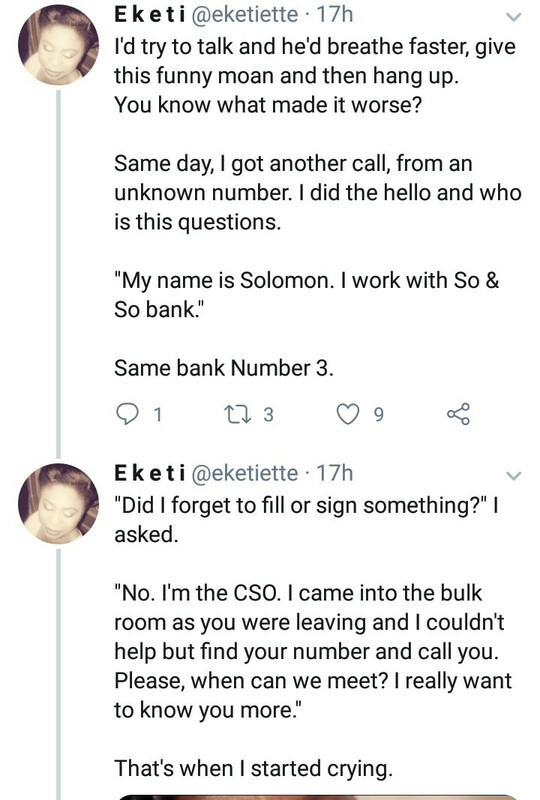 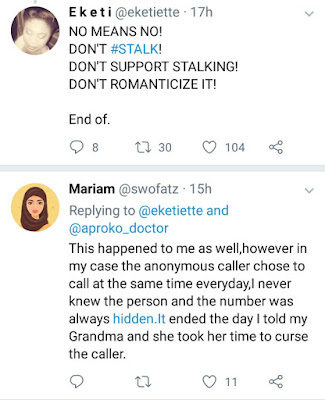 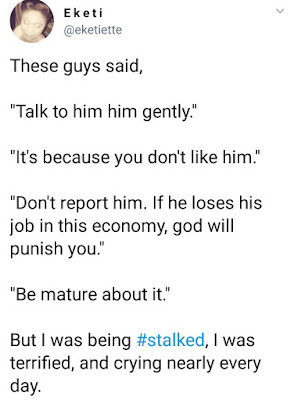 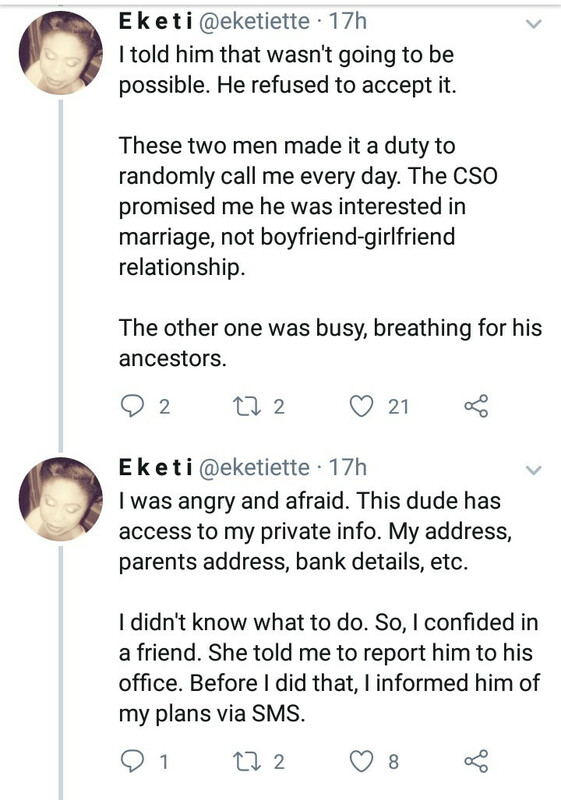 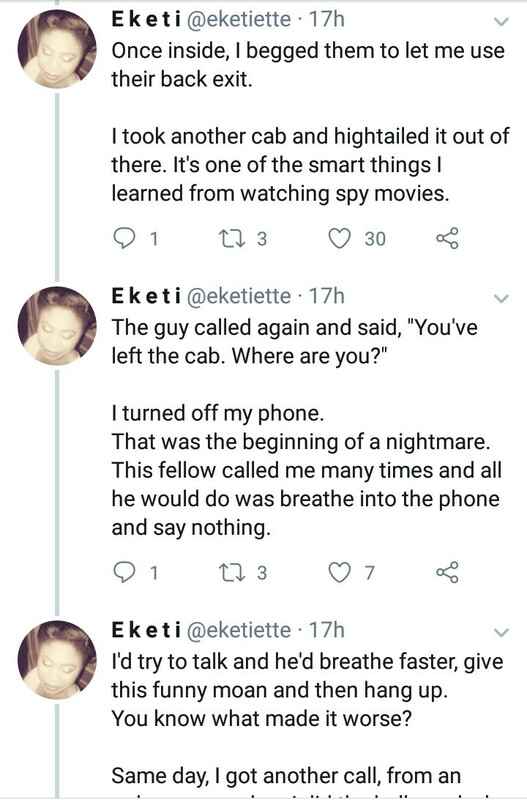 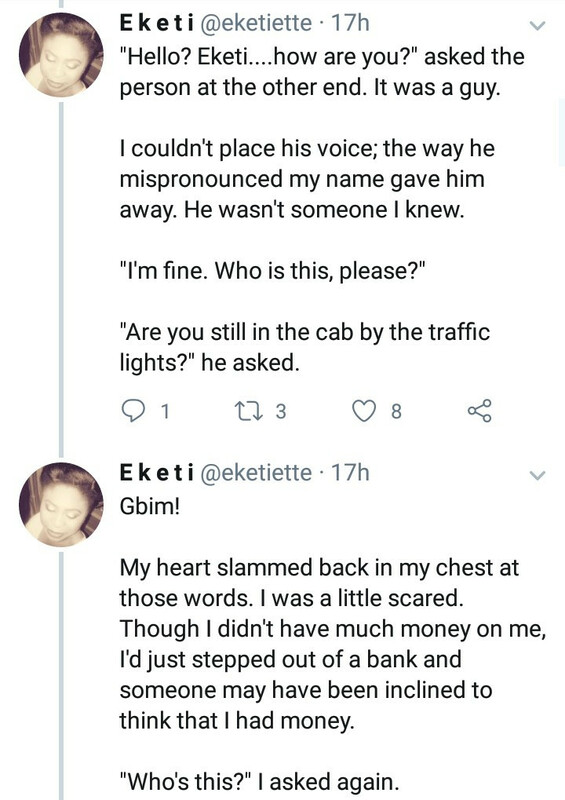 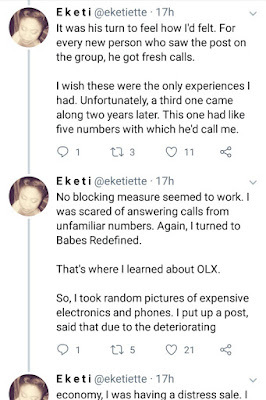 A Twitter user has narrated how she dealt with some male stalkers who got her number illegally and began calling her ever so often. 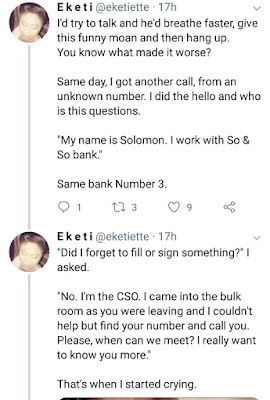 Eketi said two of the men got her number from the bank after she finished carrying out a transaction, which should be against office policies. 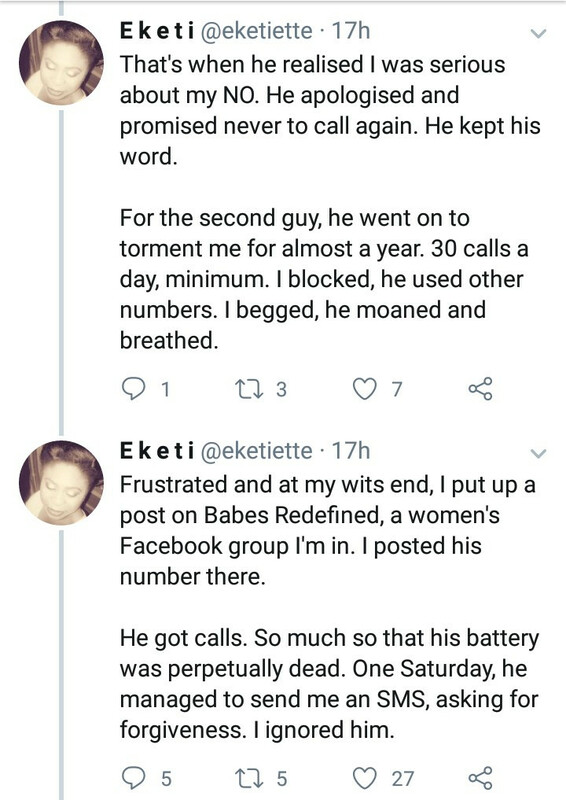 Read how they wouldn't stop calling her phone and what she did to put an end to it.